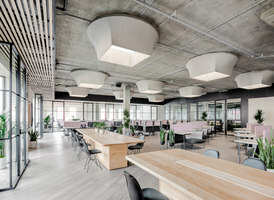 Wutopia Lab was invited by Go High Fund to transform a 9-story office building into a new office community that blends life and sociality. 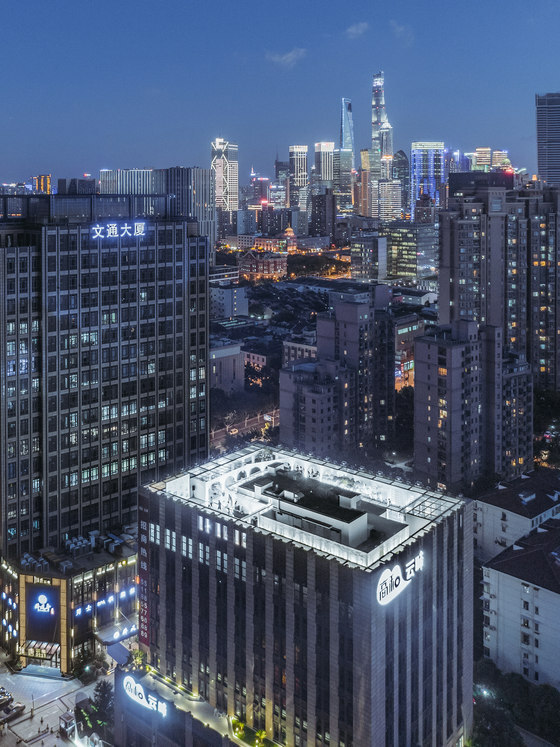 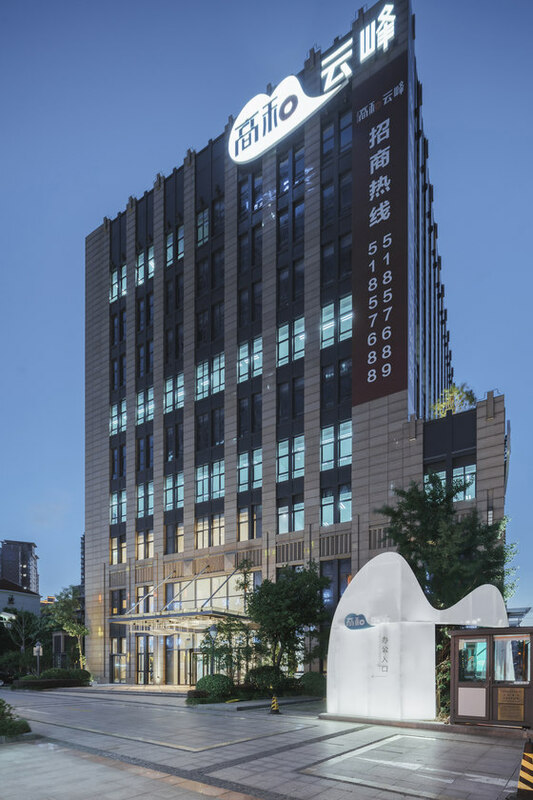 Located in the northeast corner of Shanghai, the old building is a typical product during the transition from a typical industrial economy to service economy. 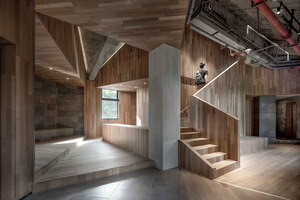 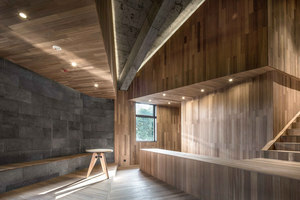 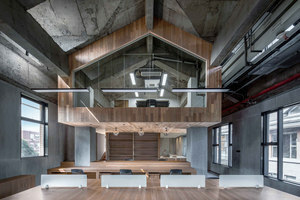 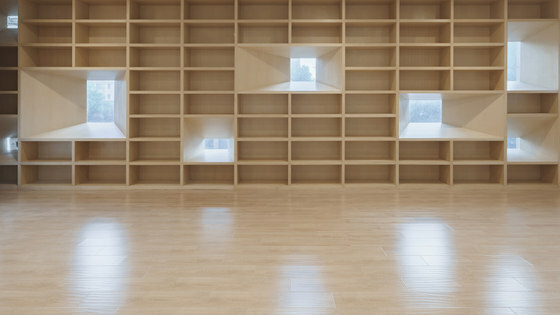 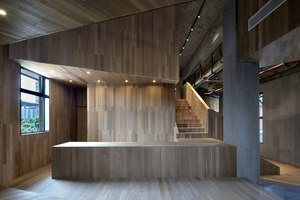 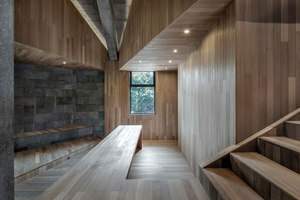 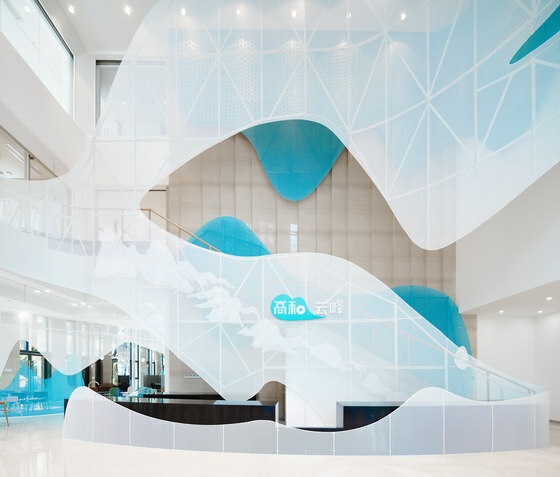 In this project, Wutopia Lab rethought the way to transform old building, by simply draping it with a new overcoat. 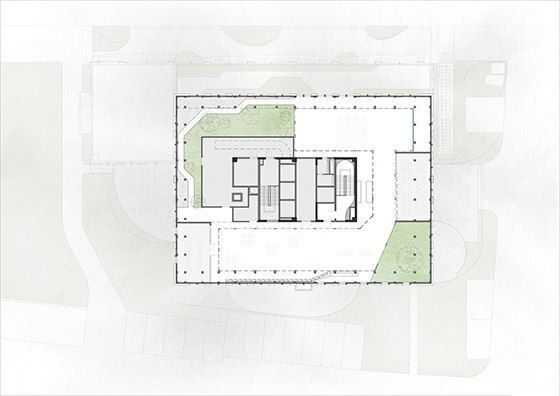 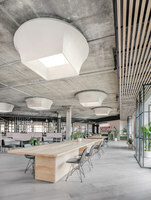 Wutopia Lab has identified three key moments in the office, a multifunction lobby, a co-working place and a rooftop garden. 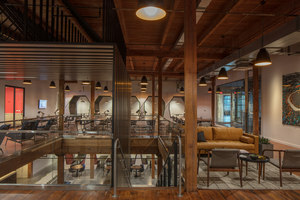 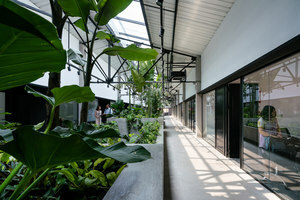 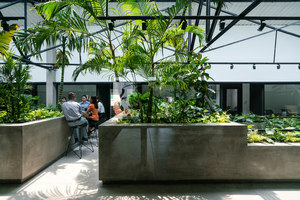 The first floor is designed as a flexible event space, operated by DNA Café&More, a customizable community service, operated by Lobby Hobby's shared lobby, which integrates social, office, conference, short break, recreation, retail, six formats together based on a traditional lobby. 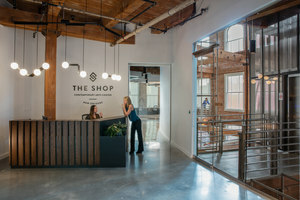 The second floor integrates shared book, shared meeting rooms and shared gyms to enhance the scene application on the first floor. 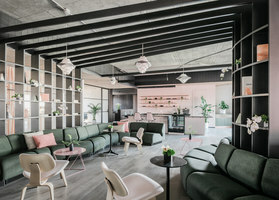 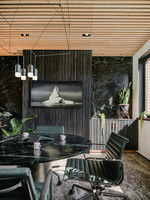 Go High Fund launched HIWORK in the office area, a new co-working mode that can flexibly change the office scene by hanging the movable furniture to meet the needs of the office. 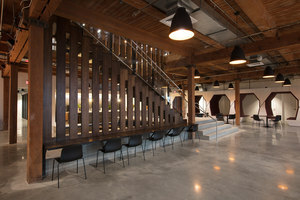 The top floor terrace features a light bar, lounge area and stage show. 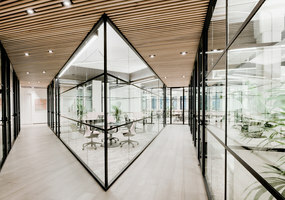 The public functions at the top and bottom also ensure a multidimensional experience for the various users of the building. 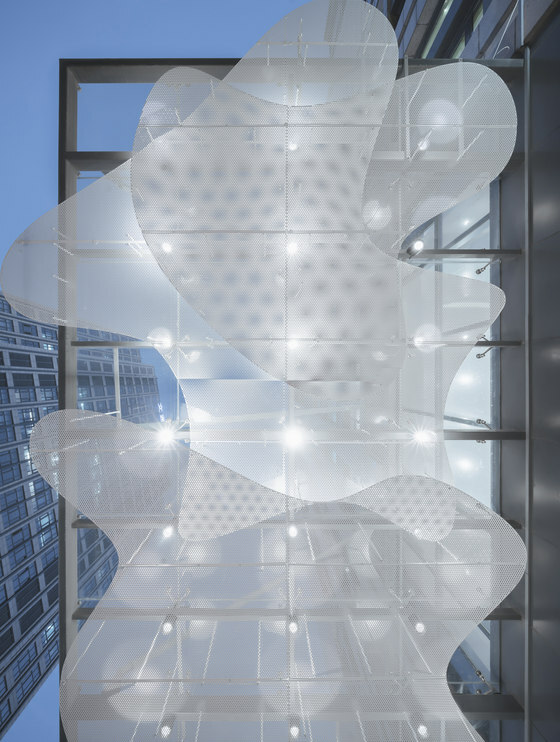 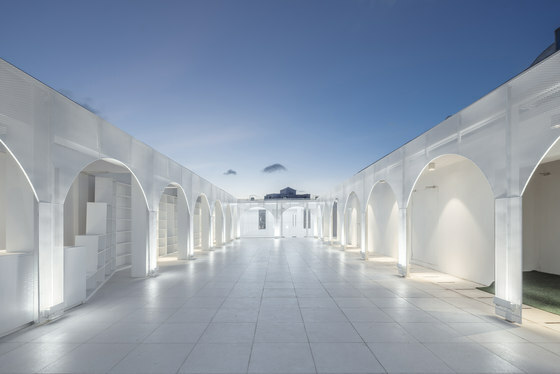 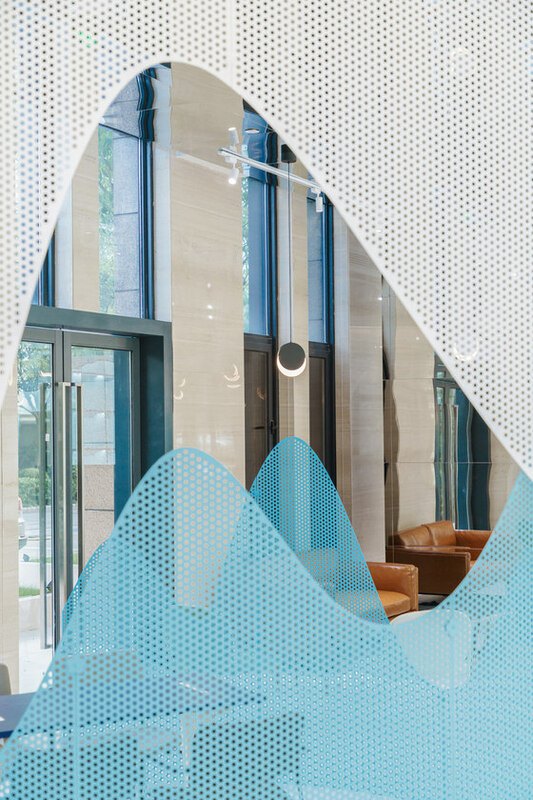 Wutopia Lab uses perforated aluminum plates as pen and ink to connect the facade, landscape, lobby, office and roof in a way that creates a three-dimensional, continuous stream of clouds. 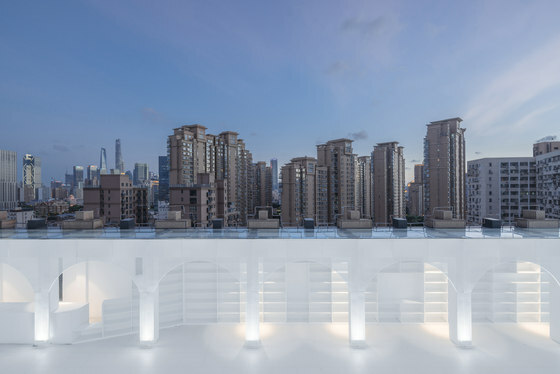 The landscape installation is supported by the smallest components, like a layer of veil floating on the old building, as if the landscape is alive. 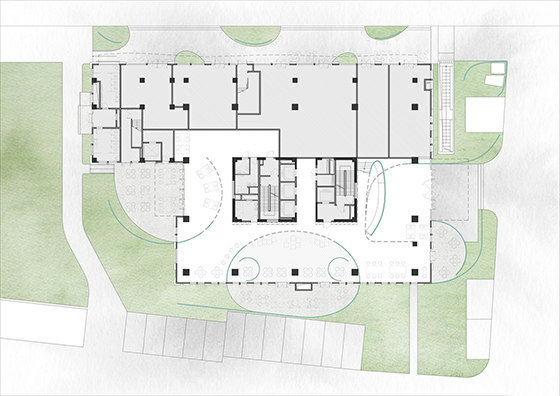 Limited budgets, urban planning rules, and interference from neighbors have cut this obvious narrative into fragments. 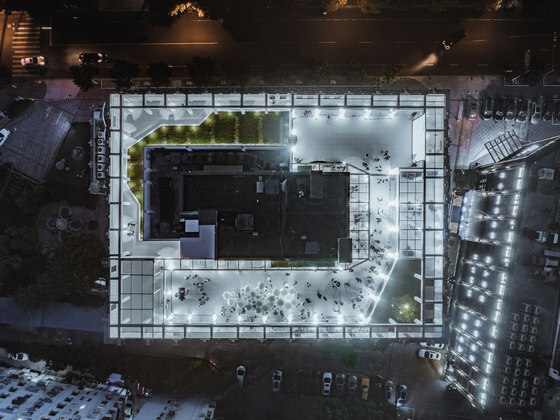 Compared with the the frontal hard resistance, we chose to show a philosophical attitude of detachment through the design method in dealing with the new and old façade. 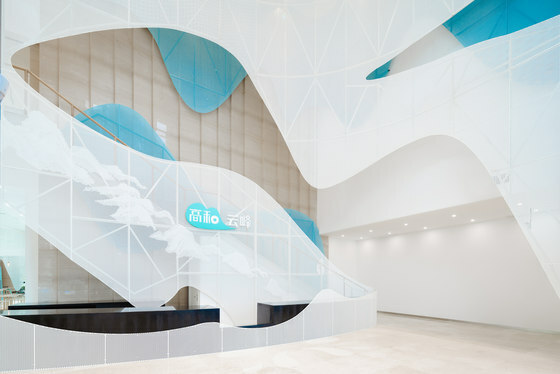 We kept a fragment at the entrance, it’s a short mountain-shaped aluminum panel integrated the doorway and greenery, like an abstract bonsai, as an introduction to this design. 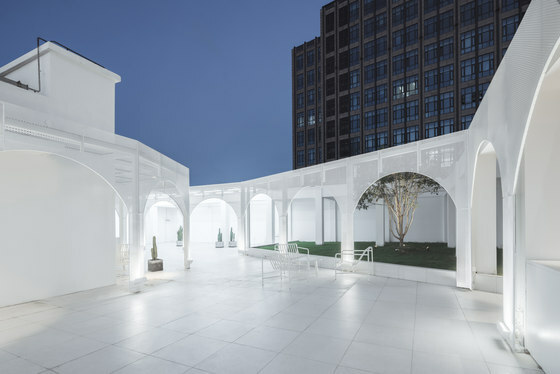 Comprising a sequence of different layers of cloud, developed around the lobby, reading room and rooftop garden, Wutopia Lab created a three-dimensional green landscape with perforated aluminum panels in the old industrial area of Shanghai.